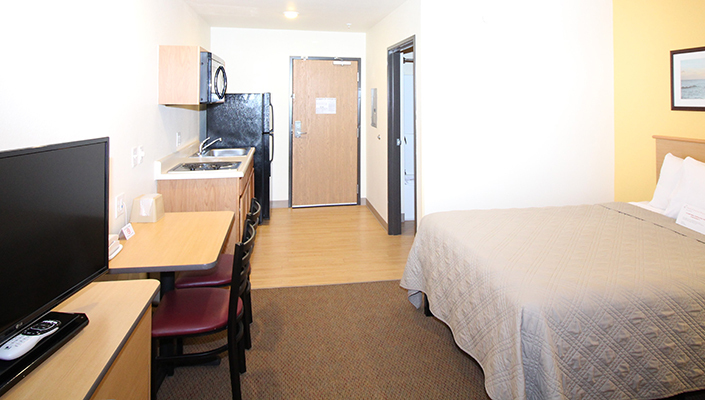 The Amelia Extended Stay & Hotel offers both Single and Double rooms in both FULL KITCHEN and STUDIO layouts! Full Kitchen Rooms actually allow you to cook in your room and feature a full sized sink, cook top, microwave, and FULL-SIZED refrigerator as well as plenty of cabinet space. 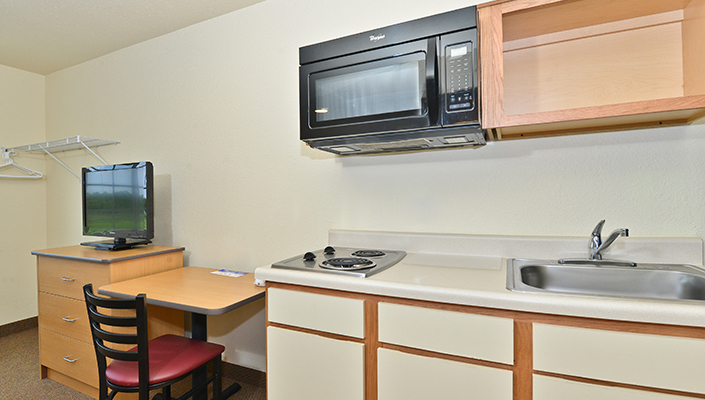 The slightly more affordable Studio Room features a microwave/mini-fridge combo unit for those that don't need a full kitchen. All of our rooms come equipped with a workstation, internet access, free WiFi, and HD DIRECTV w/100+ channels including NFL SUNDAY TICKET! 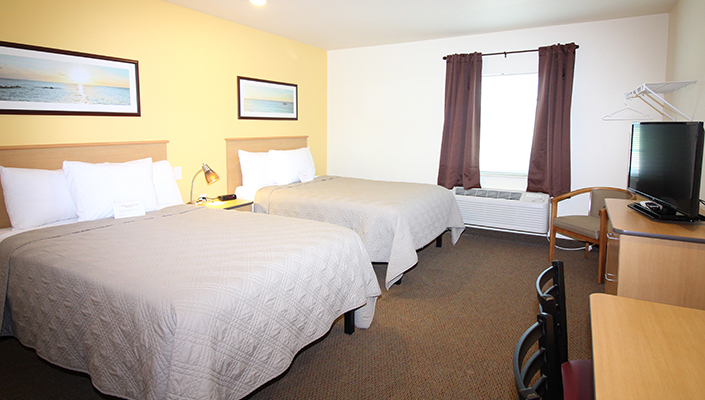 Book online or call hotel for rates and availability. For ABSOLUTE BEST RATES call hotel direct at 985-631-2220!